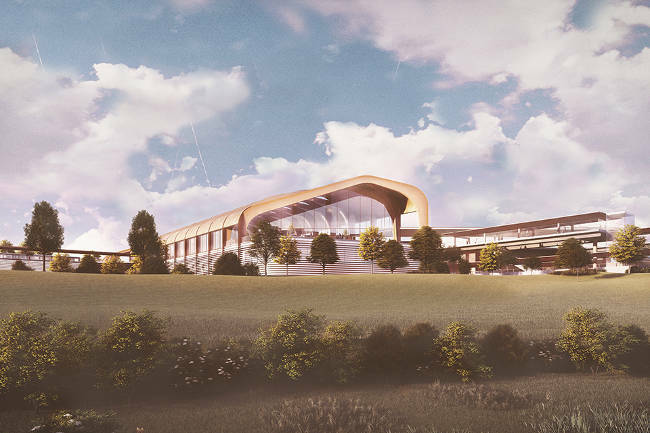 HS2 Ltd has released images for two new stations in the Midlands, which it said marks a significant milestone for the £56bn project, following claims that it is running up to three years late. The company building the high speed rail link said Curzon Street station (pictured right) in central Birmingham will be the first new intercity station built in Britain since the 19th century, and create a new landmark for the city and boost opportunities for regeneration. It said the new station, which is due to open with seven high speed platforms in 2026, ‘will not only be for high speed rail passengers, it will be a brand new public space in Birmingham city centre’. The station will be fully integrated into an extended tram network, as well as offering pedestrian, cycle, taxi, bus and conventional rail connections to the rest of the city and the wider West Midlands. 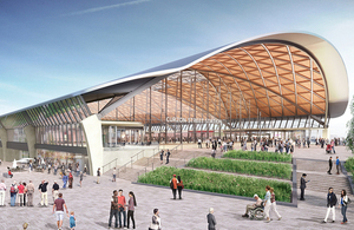 The firm described the planned Interchange station (below) as a new major gateway station for the region, part of a new public transport interchange serving Solihull, the West Midlands, Birmingham Airport and the NEC. West Midlands mayor Andy Street said: ‘These brand new stations will be catalysts for regeneration, creating jobs and opportunities for local people and economic benefits for Birmingham and the Midlands. HS2 Ltd CEO Mark Thurston said: ‘Both of these new stations will be transformational for the Midlands and will create opportunities for regeneration, growth and economic benefits for the city and region.